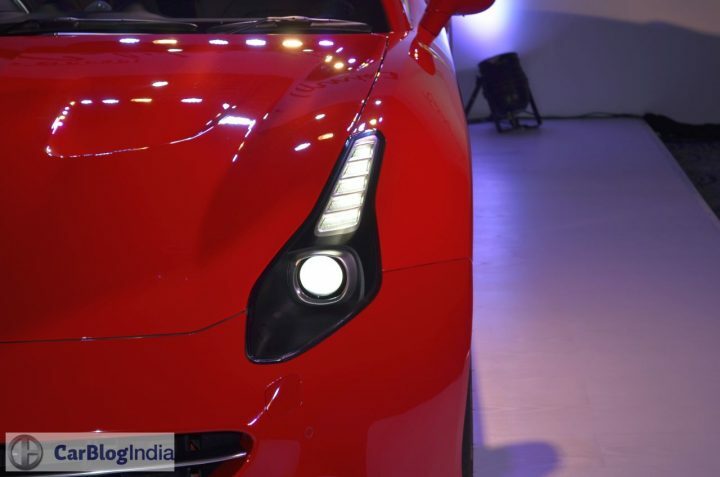 After a turbulent first innings in India, the legendary Italian car maker Ferrari has made a comeback in India. Armed with a line-up of 5 vehicles and a new distributor, the Italian marquee has set up shop in Delhi and Mumbai with Selects Cars and Navnit Motors respectively. 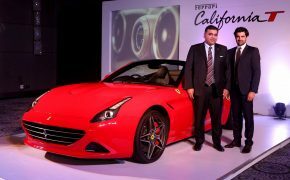 Ferrari announced its official re-entry into India via press conferences held in Delhi and Mumbai where they also showcased the cheapest and likely to be the most popular model of their line-up, the California T. During their last stint in India, Ferrari customers were left with a very sour taste in their mouth due to the shoddy services provided by the previous distributor. This time around, the company seems to have done their homework better and are determined to win back the customers confidence and increase their reach to new potential customers as well. 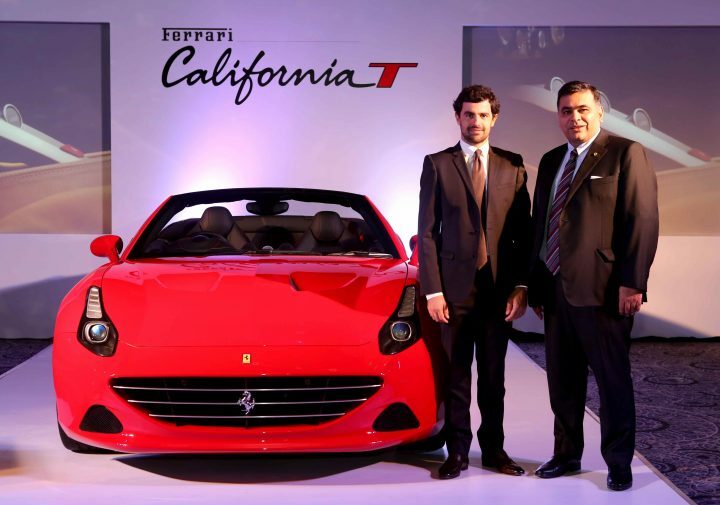 Scroll down to find out more about the Ferrari California T India price and other details. Powering the Ferrari California T is a turbocharged, 3,855cc V8 engine which puts out a maximum power of 552 bhp and a peak torque of 755 Nm. This engine is mated to a 7-speed dual clutch automatic transmission with paddle shifters. The California T accelerates from 0 to 100 km/h in a mere 3.6 seconds. 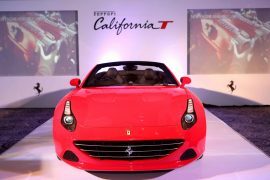 The California T also has the latest evolution of the F1-Trac traction control system for maximum acceleration out of corners, thereby underscoring the sportier side of its personality. The CCM3 carbon-ceramic braking system is also extremely efficient with new composite discs and pads. The brakes are integrated with the ESP 8.0 premium system which controls the high-performance ABS for a short 100 to 0km/h braking distance of just 34 meters. Apart from the breathtaking performance and stunning looks, the California T’s other party trick is a retractable hard top which completes the entire process in a mere 14 seconds. This beautiful machine comes with a 2+2 layout, however, the rear seats are best suited for carrying around shopping bags, etc. Turbo Performance Engineer (TPE) placed between the two air vents in the centre of the dash boasts a capacitive touch-sensitive surround to scroll through screens with information on making the most of the engine’s performance. The California T also features a new infotainment system with an extremely intuitive, high-resolution 6.5-inch screen featuring both touch-screen and conventional controls. Ferrari isn’t the only luxury performance brand making a comeback in India this year. The others include compatriots Maserati and Ducati, both of whom have already begun operations in India. 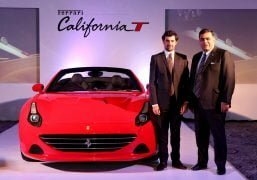 Ferrari has also announced that they will extend the after sales and services to existing owners of these supercars in India. 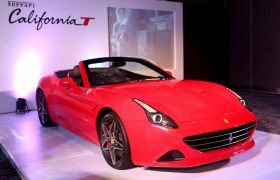 Stay tuned to CarBlogIndia for more on the Ferrari California T India price and other details.